Hong Kong is teeming with obscure and delicious foodie spots to eagerly await the sun’s arrival. 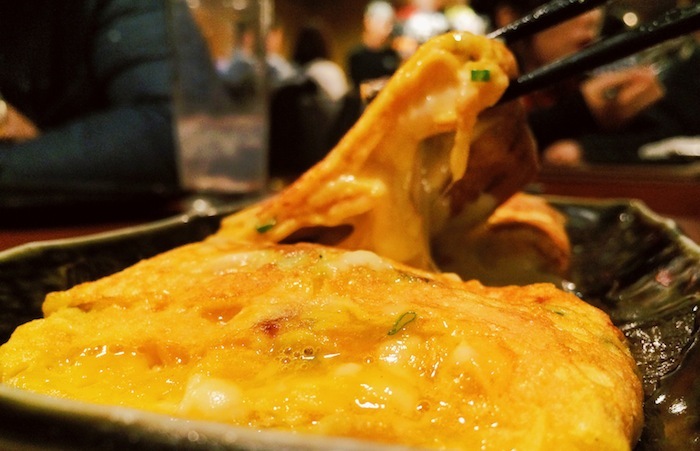 Kozy Okonomiyaki Teppanyaki is a Japanese restaurant that’s run by Japanese owners, with Japanese chefs, mastering traditional Japanese teppan cookery, which is constantly overwhelmed by Japanese customers. It’s not hard to tell how good it is then. Their menu covers pretty much everything one would expect when in a teppanyaki restaurant, from the endearing cheese omelette, to their distinguished okonomiyaki, and of course the delectable yakisoba. Everything is spot-on. Yes, everything! We posit this is probably the only half decent Japanese restaurant that opens until this late, and guarantee a quintessential Japanese experience with great food and welcoming atmosphere here. There you go! A helpful hint when you want to please someone (in an entirely asexual, cheese omelettey kind of way) in the wee hours of the morning…racy. Opening at 3am Monday to Sunday, San Hing is the best after hours Cantonese joint, where you can find a mix of elderly and drunk people. 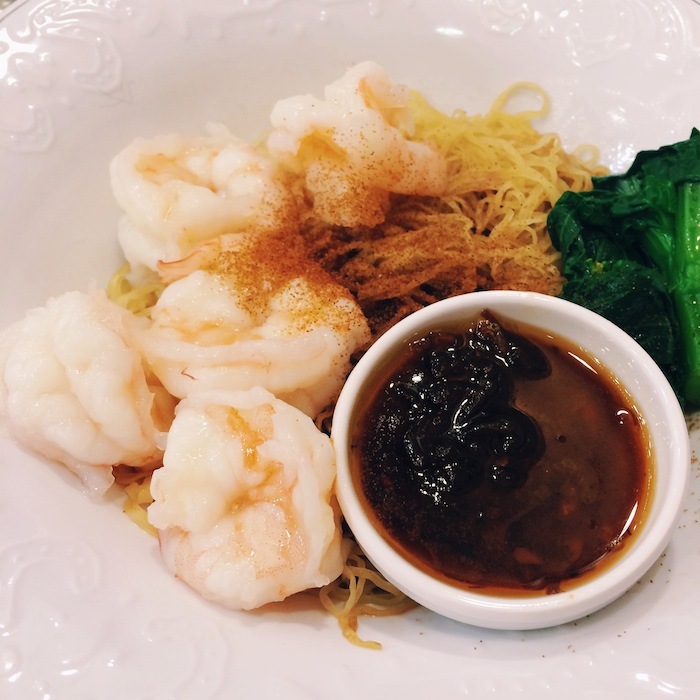 This dining experience is definitely quintessentially Hong Kong. Don’t expect fancy menus or top-notch service here, but they do have some really nice dim sum and tea for you to rehydrate after a few hours of mildly indecent dancing and consumption of alcohol. Their dim sum comes without frill but everything is freshly made and heaped into a giant bamboo dim sum mountain. 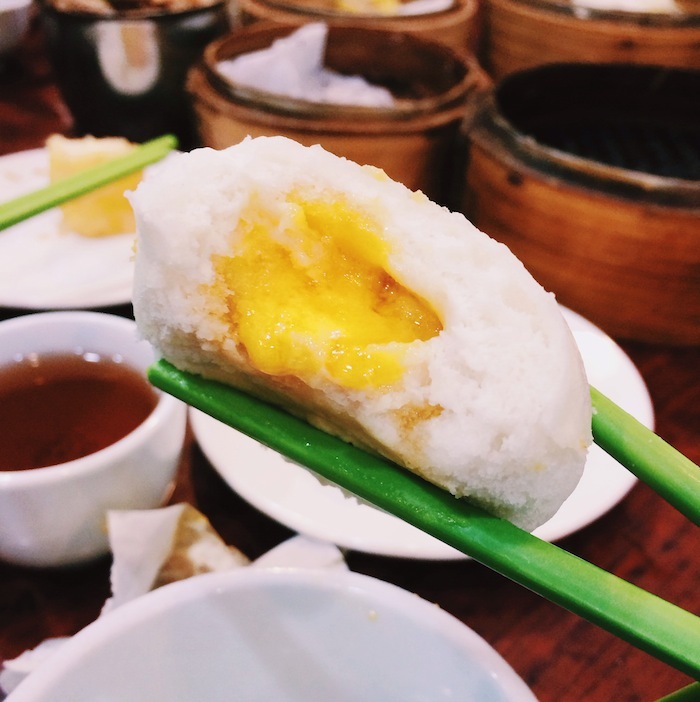 The zenith of this Canton Everest is the custard bun, which is masterfully crafted and flawlessly addictive. We can’t help but easily devour 3 to 4 buns every time we visit. Besides steamed dim sum, San Hing also serves a few deep fried goodies, like the curious yet scrumptious deep fried milk. Utilise the greasiness from these as antidotes to the excessive alcohol you’ve consumed at the behest of the misleading yet tremendously attractive bartender. 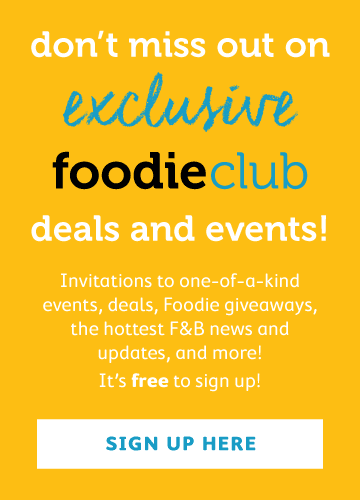 If you’re not quite inebriated and happen to live on the dark side (A.K.A. Kowloon), remember to drop by Hing Kee before heading home. One might, at this point, wonder how typhoon-shelter crab is an apposite after-party meal. In fact it certainly is not, and we don’t recommend it. However! 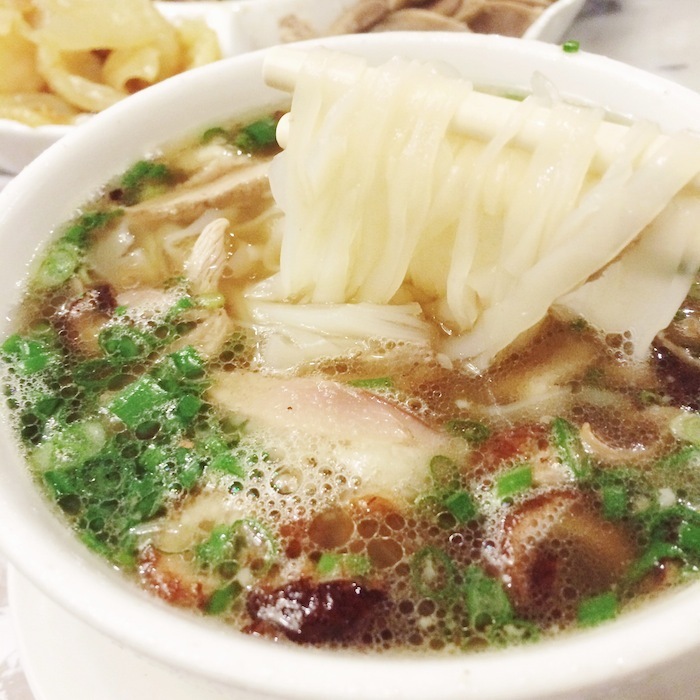 A bowl of their lip-smacking duck meat noodles is precisely what your food elevated senses should tingle for. Their hand-cut noodles are insanely silky and slick, which for the sloth-beings of the city, comes as overly positive news, as it requires no chewing or biting. We bequeath a dispensation to go ahead and slurp; slurp all the yummy essence from the duck and then dive into the bowl of flavours. This bowl of noodles is to die for. If you’re fearless enough to order the crab, be sure to ask for the prices before you order; you don’t want to embarrass yourself when the bill comes. Who on earth wants to “eat and run” when drunk? Ultimately, this turn of phrase would have to morph into something more along the lines of “eat and stumble and knock chairs over along the way while thinking you’re excessively sly”. Oh, and you’re likely bump into your favourite actor or singer here while slurping your noodles, as they tend to frequent the place; so mind your manners drunkies! There’s little better than carbohydrates to restore balance to the spinning mind and whirlwind stomach, and a bowl of soupy ramen is perhaps among the most favourable of antidotes. 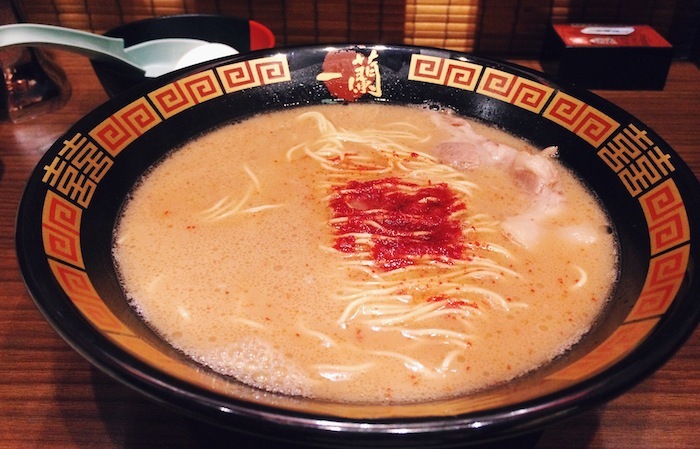 Ichiran Ramen located in Causeway Bay has become the ultimate crowd-pleaser since its arrival in Hong Kong. It’s open 24 hours, and is perfect for a post-clubbing ramen fix. 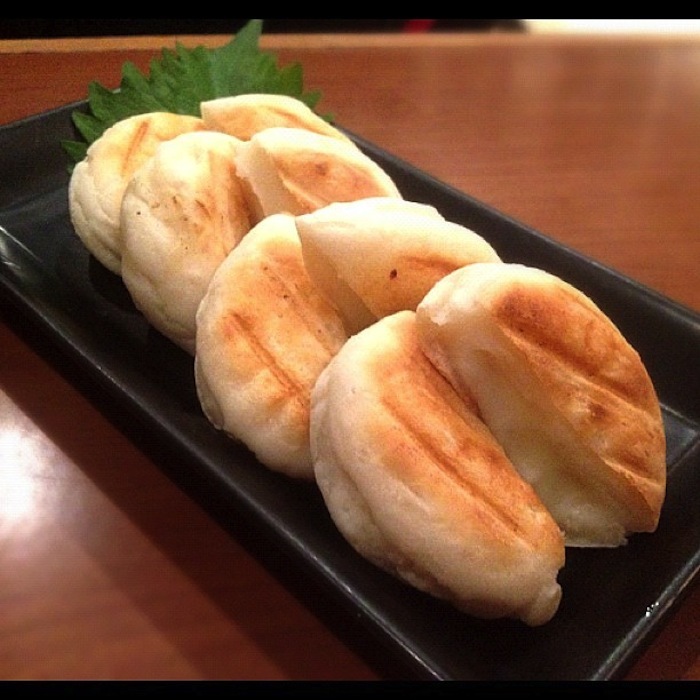 Whether your party concludes as ‘early’ as 1am or proper early as in 7am is irrelevant; Ichiran is always there for you! Home is the ultimate sanctuary after a night of binge partying, and the comfortable setting at Wai Wai is the next best thing. Escape from the absurdity that is “people you stopped wanting to see half an hour ago” and enjoy hearty stews prepared in the same way a Japanese mum would for her kids…if her kids were party animals and enjoyed sipping giant coconut cocktails in Sheung Wan at three in the morning. Really? It’s RIGHT THERE and they’ve got everything you need. No further explanation needed! We’re pretty sure this is what Beyonce is singing about.